Puerperal fever is delayed uterine infection after childbirth.The list of signs and symptoms mentioned in various sources for Puerperal fever includes the 5 symptoms listed below:Fever,Flu-like symptoms,Abdominal pain,Foul-smelling vaginal discharge,Abnormal vaginal bleeding. 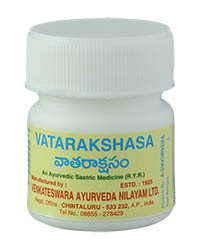 Vatarakshasam : Can be used in fevers of vata. Removes all pains in the body. Useful for suthika vata and titanus. DOSAGE : 1 g = 5 doses. One dose each time both morning and evening with the decoction of dry ginger, pepper and black pepper. 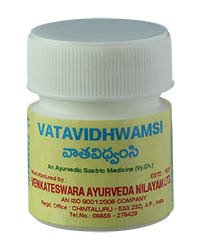 Vatavidhwamsi : Very useful in puerperal fevers and puerperal diseases, fevers born in wind and sannipata fevers. DOSAGE : 1 g = 5 doses. 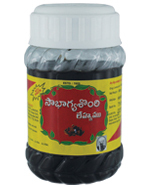 One dose twice daily with Betel leaves for puerperal fevers. Pratapalankeswaram : Useful in simple and sannipatha fevers, puerperal fevers. DOSAGE : 1 g = 5 doses. One dose twice daily with the decoction of maricha (or) with hot water. Soubhagyasounthi : Useful for women after delivery. Very useful in sutikaroga. Accorded as a great tonic to puerperal women. DOSAGE : 12g. To be taken twice daily followed by a glass of milk.